Today’s retail customers expect your payment processes to be fast, flexible, and efficient. The more choices you’re able to offer, the more sales you can make—but you need a unified solution that keeps your transaction data together and works well with your existing systems. 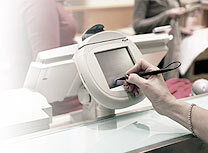 Infinity Data has your custom solution for retail payment processing. Our merchant accounts are easy, secure, and cost-effective regardless of the size of your business, and we deliver with PCI compliant systems and payment processing solutions that are flexible enough meet your unique business needs. With a merchant account from Infinity Data, you can accept and efficiently process all major credit cards and debit cards—delivering increased flexibility for your customers, and increased sales for you. We deliver comprehensive credit and debit card processing solutions across all business and retail channels at the lowest prices. Gift cards are a popular purchase for many consumers. With Infinity Data, you can sell—and accept—custom pre-paid gift cards that increase your brand recognition and create more sales opportunities. Your customers will appreciate the flexibility, and your business will appreciate the profits. 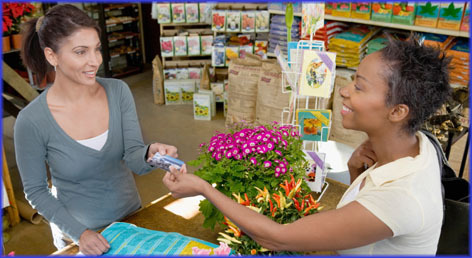 If your business offers products that can be purchased with EBT (Electronic Benefits Transfer), you can increase sales and improve customer satisfaction by accepting EBT cards. We provide and support the most popular payment processing brands and point-of-sale (POS) terminals, and help you seamlessly integrate EBT card processing into your transaction system. For businesses with recurring payments, payment plans, or subscription plans, Infinity Data provides cost-effective and hassle-free solutions for recurring Automated Clearing House (ACH) and Electronic Funds Transfer (EFT) payments. Our low-cost recurring payment solutions eliminate the need to collect cash or checks and make monthly bank deposits to settle your transactions. At Infinity Data, we want your retail business to offer customers a seamless payment processing experience. To learn more about our retail merchant services, credit card processing solutions, or to open an account with Infinity Data, please contact us online or call 1-866-746-8931.